If you are traveling to Grand Bahama Island, take your vacation to the next level by swimming with dolphins. 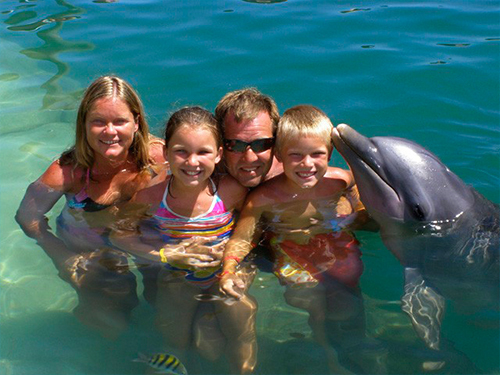 The tour gives guests the opportunity to swim with dolphins in the 9-acre lagoon called Sanctuary Bay. Throughout your experience, you’ll even be able to hug and kiss these wonderful marine animals. If you are traveling to the Grand Bahama Island for vacation in the future, then one activity that you shouldn't miss is the Dolphin Experience at UNEXSO. The Dolphin Experience gives guests the opportunity to participate in an interactive program where they will get to swim with dolphins. Guests will enjoy a 20-minute boat ride through the South Shore of the Grand Bahama Island or travel through the canal systems to Sanctuary Bay. This 9-acre lagoon is home to 14 playful, Atlantic Bottlenose dolphins. A certified dolphin trainer will provide guests with an educational briefing, then guests will have the opportunity to swim with the dolphins. 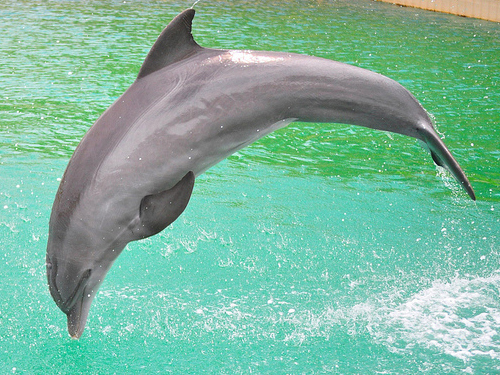 Guests will be able to ask the dolphins to splash, speak, wave, or turn around. 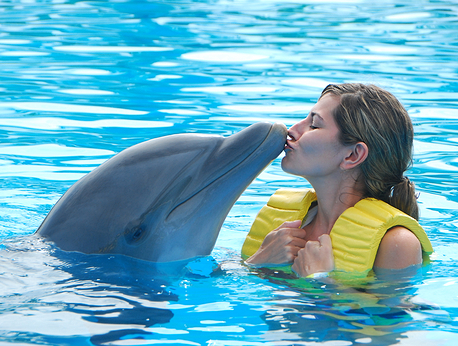 Guests can even swim between two dolphins and get the opportunity to give the aquatic mammals hugs and kisses. After your time in the water with the dolphins, you will have the chance to observe Macaws on the Bird Patio, and you can also see African tortoises. When you return to UNEXSO, you will have the opportunity to purchase pictures that were taken during your time with the dolphins. Our premises also has a restaurant to help satiate your hunger after a long and thrilling adventure. 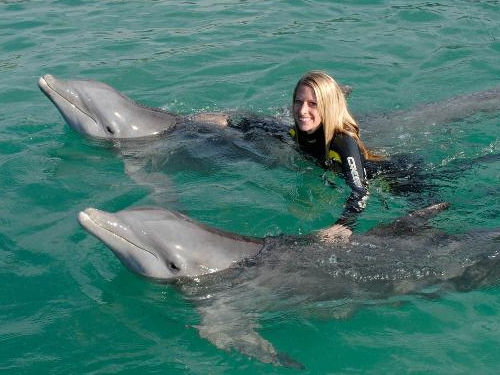 The duration of the Dolphin Experience is 2.5 hours, which includes 20-25 minutes in the water with the the dolphins. The cost of the tour is $179, but guests also have the option to observe the experience for $85. For a closer experience with the aquatic creatures, there are only 6 guests allowed in the water at one time. Children under the age of 12 may participate in the Dolphin Experience if they meet the height requirement of 55’’, but they must be accompanied by a parent or legal guardian. All those who wish to participate in the Dolphin Experience must be able to swim. 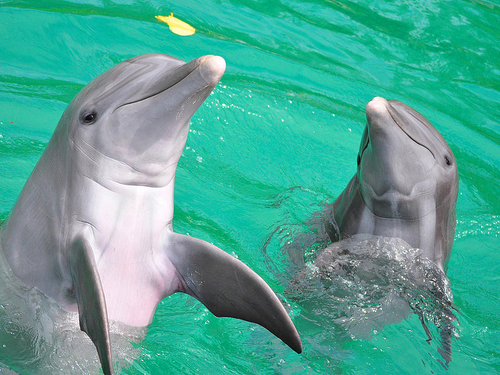 While on vacation in Grand Bahama Island, we highly recommend the Dolphin Experience. When you swim and interact with the aquatic animals, it is a unique experience like no other. Be sure to cross another thing off your bucket list and add this tour to your trip.